Defines the base class for all line ending styles. 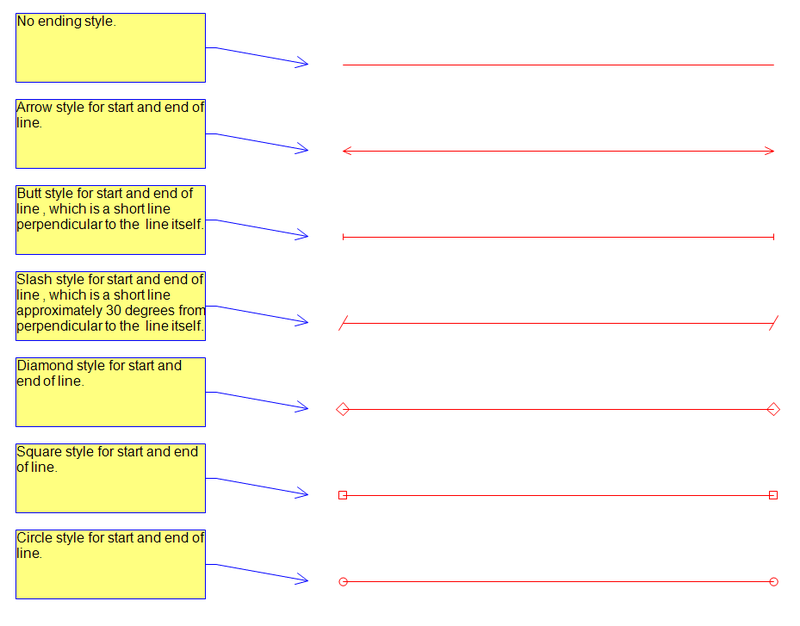 The AnnLineEnding class provides all the basic functionality common to all LEADTOOLS line ending styles. AnnLineEnding is an abstract class and cannot be instantiated directly. Instead, you create an instance of a derived class such as AnnArrowLineEnding or AnnButtLineEnding and use the methods and properties of the base AnnLineEnding through the derived class. The line ending styles cannot be added to closed polyline objects. This example creates a list of polyline objects, all ending style types, and sets them to polyline objects ending styles.